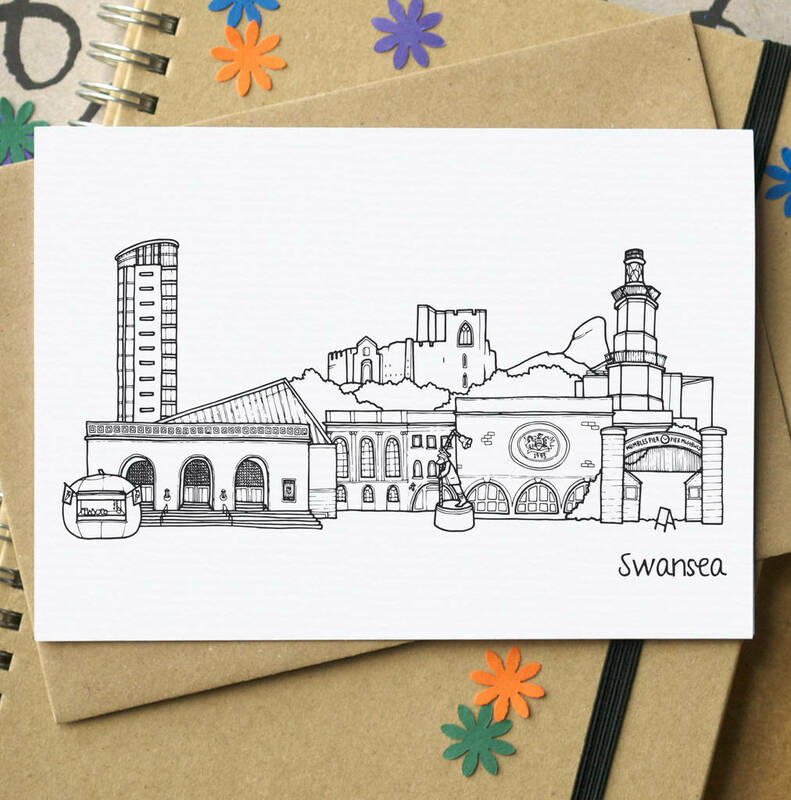 A striking Swansean greetings card featuring my illustration of a skyline of Swansea's most iconic buildings and landmarks. 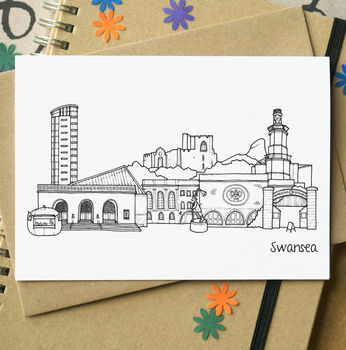 Great as a card for any Swansean, or as a card for someone who loves Swansea. It could also make a lovely wedding or graduation card - or a momento to mark a new home perhaps. The illustration was drawn using pen and ink, by hand, and has then been digitally manipulated to come up with the final image. It features Brangwn Hall, Meridian Tower, The Big Apple, Plantasia, the Dylan Thomas Centre, Mumbles Pier, Oystermouth Castle, Mumbles Lighthouse, Worms Head and the Captain Cat sculpture. The card is available as a single card or in a pack of four matching cards. You can now choose to send this card direct to the recipient, which is perfect if you are overseas, in a hurry or want to save on some postage. Cards chosen with this option will include the message exactly as specified in the text box provided, and sent in an envelope directly to the contact name and delivery address provided, in line with my usual delivery timings. 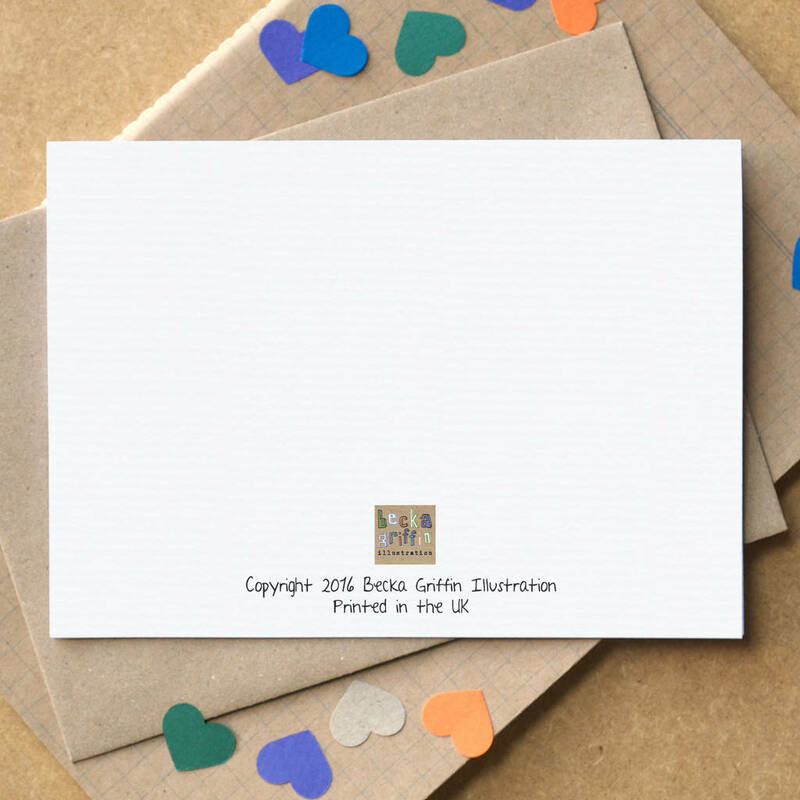 The card is printed on a lovely textured white card stock and packaged in cellophane. The card measures approximately 10.5 x 15cm; the brown envelope is slightly larger.